Two former members of the Rebels outlaw motorcycle gang (OMCG) have been charged over the alleged murder of a fellow gang member in Kingswood two years ago. Michael Davey, aged 30, was shot a number of times in the driveway of a home on Stafford Street, Kingswood, just after midnight on Wednesday, March 30 2016. Despite the efforts of NSW Ambulance paramedics, he died at the scene. Detectives from the State Crime Command’s Homicide Squad established Strike Force Glenorchy to investigate the circumstances surrounding Mr Davey’s murder. 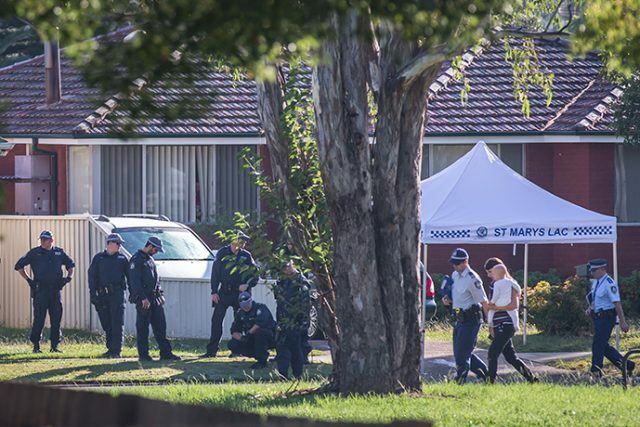 The investigation also involves detectives from the Criminal Groups Squad’s Strike Force Raptor, the Drug and Firearms Squad, and North West Metropolitan Region. Following extensive inquiries, a 29-year-old man was arrested at a correctional facility at Goulburn on Tuesday, August 28. The man, who is a former member of the Rebels OMCG, was charged with murder. He was refused bail and appeared at Goulburn Local Court, where he was remanded to appear at Burwood Local Court on Monday, September 17. Earlier today, another 29-year-old man, who is also a former member of the Rebels OMCG, was arrested at a correctional facility at Silverwater. He was charged with murder and has been refused bail to appear at Burwood Local Court later today.